One of the major variables in attaining high ranking is developing incoming links from other relevant, well established, websites that have commonality with your website. Slogx - network and directories offers one-way link exchange, banners and network ad sense. We offer movers, carpet cleaners, and other contractors a variety of turn-key solutions. 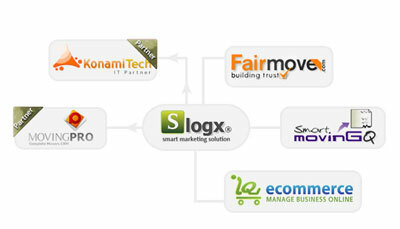 Fair Moves TRUST SEAL is designed to improve TRUST among online shoppers. Unlike other seal programs, Fair Moves, TRUST SEAL is designed to help small and medium businesses succeed. SLOGX and its Fair Move TRUST SEAL is an affordable and effective solution, offering a reliable third-party business verification service. Fair move TRUST SEAL will help increase your conversion rates! Dont forget that the more trusted your site it will attract more potential customers which will gain more sale.